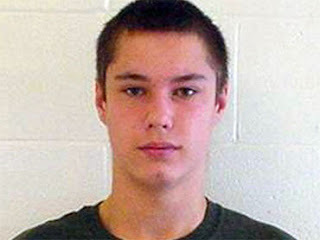 ​Barefoot Burglar Colton Harris-Moore owes it to the world to start a posse. That's the only logical conclusion one can come to after this latest news, that the teen-aged robber's longtime running partner (with the greatest name in the history of the known world) has just been caught by Camano Island police. The former accomplice (not gonna say his name yet...) was arrested Monday in Everett (still holding out...) after failing to return (wait for it...) to a prison work release program. That friend's name? Look at it. It's like a motorcycle mixed with a fighter jet nail-gunned to a battleship. It's beautiful and mean and totally worthy of someone who became an ex-con before he could legally buy a shot of Jameson. It's just too bad it's wasted on a guy who can't even evade Camano Island cops. C'mon Harley. Didn't Colton teach you anything? 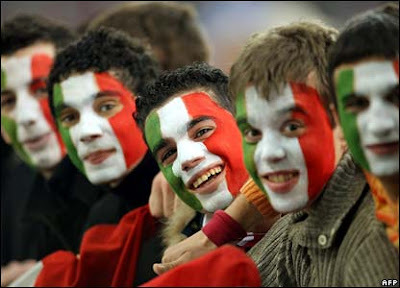 A few of Colton Harris-Moore's newest fans.​Although it's hard to decipher what, exactly, they're saying, we're pretty sure that this Italian paper's account of the (highly illegal) antics of Colton Harris-Moore (the "baby-thief") can only mean one thing: The Barefoot Burglar phenomenon has now gone international. According to one of the many cheap translation services available on the internet, ilGiornaledelFriuli's report is all about "Colt," the 18-year-old accused of having stolen "dozens of houses after between the USA and Canada." And last seen in a "misteriosa shootout in an area impervious to the East of Seattle." Umm, yes? Maybe? We think? Bano? Ahh, crap, this language barrier is too great for full sentences. Let's stick with the catch phrase. A ballad written about at-large bandit Colton "Barefoot" Harris-Moore. Written and performed by Michael Mirrielees. 2009. 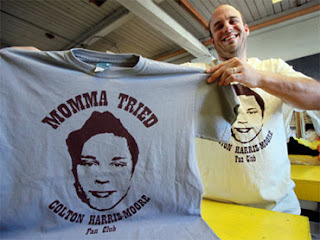 Printing colton harris Fan tshirt "momma tried"
Labels: Watch the colton harris Fan tshirt "momma tried"
CAMANO ISLAND — Colton Harris-Moore is no Jesse James. No Robin Hood. No Billy the Kid or misfit MacGyver. The line between fact and fiction has started to blur in the past few weeks, as the 18-year-old from Camano Island has gained international notoriety as a wily, fleet-footed commando who continues to stay steps ahead of the police. A Facebook fan page has attracted thousands of visitors and the teenager's mug has flashed across national news networks. “The Legend of Colt” appeared on the Oct. 9 front page of The Globe & Mail, a national Canadian newspaper. Colton Harris-Moore T-shirts are selling faster than the teen can run. He doesn't steal from the rich to give to the poor. He doesn't rob banks. He's not a detective or a spy. He doesn't have an invisibility cloak. Yet as the elusive teen has become banter for talk radio and Web logs, lore often has outgrown truth. Let's set the record straight. He's no boy genius. It's unlikely that he and his mom will be nominated for the mother-child pair of the year. He's not blamed for every crime in the Pacific Northwest. He's no survivalist. He likely didn't hotwire airplanes. And he's not always the barefoot burglar. He is a suspect in dozens of crimes across the Pacific Northwest. Police believe he may have stolen boats, cars and planes. He's listed in a FBI database as a fugitive from justice. “Part of his eluding police could be because he has an high IQ. He may be clever,” said Deborah Stipek, a developmental psychologist and dean of the Stanford University School of Education in California. Pam Kohler, Harris-Moore's mother, has told reporters all over the country that her son has an exceptional intelligence quotient, or IQ, a few points shy of Albert Einstein's. Far from a sophisticated crook, Harris-Moore appears to have left a catalog of clues: fingerprints, blood, videotape, photographs, even vomit in the cockpit of a stolen airplane. Kohler, 58, repeatedly has defended her son in media interviews. She's both urged him to give up and encouraged the teen to continue. But her stories about the pair's mother-and-child bond may be as tall her son's 6-foot-5 frame. She says the two are close. Court papers reveal a tumultuous relationship. He hasn't lived at home since the spring of 2006 when he failed to show up for a court date. Since then, he's either been a ward of the state juvenile rehabilitation system or a fugitive. Harris-Moore began capturing headlines in early 2007 when Island County officials handed out wanted posters featuring the boy's photo. Since then, his mom often has said he's being unfairly linked to every break-in on Camano Island, the rural community where Harris-Moore grew up and where Kohler still lives. She's made the same claim as his crime spree has expanded across the Pacific Northwest. “Anytime anything is stolen they blame it on Colt,” Kohler has said. This past summer when Harris-Moore was suspected of returning to his old stomping grounds, another man, 22, was busted for breaking into Camano Island homes and stealing large-screen plasma TVs, Wallace said. “Mom's mentality that we blame everything on Colt isn't the case,” Wallace said. While there is evidence that Harris-Moore has set up camps in the woods, he's not a survivalist, police say. More often, Harris-Moore's made himself comfortable by amassing expensive stolen gear or by simply spending a few nights in the vacation homes he burglarized. Contrary to some reports, he's not just stealing survival gear. Court papers itemize much of the property: jewelry, watches, laptop computers, iPods, digital cameras and camcorders. He also likes remote-control toys, including cars, boats and helicopters. At the Creston Valley Regional Airport, just across the Canadian border from Idaho's panhandle, locals believe Harris-Moore stole junk food, beer, soda and two handguns. He may also have tried to steal an airplane there. Harris-Moore appears to be a suspect in three thefts of small airplanes. He has no formal flight training. Each time, the planes were crash-landed. Collins doesn't believe that the teen started the planes by fusing together the electronics. “I don't think the kid is smart enough to hotwire,” he said. Two of the stolen planes were Cessnas, which is notable because they have a notorious security flaw that makes them easy for thieves to start, Collins said. This myth is flourishing on the Internet. Harris-Moore is being called the “barefoot burglar” by many journalists and bloggers from outside the area, and it keeps getting repeated as new writers and broadcasters discover the story of the teenage serial thief. Yes, bare footprints have been found near some crime scenes where Harris-Moore is a suspect. Witnesses also claim to have seen him running without shoes. It's not, however, his calling card. In the eight years Harris-Moore is suspected of committing crimes on Camano Island, he was never barefoot, police said. In fact, shoes were stolen during a Oct. 4 burglary in Granite Falls that bears resemblance to others officials have pegged on the teen. Being barefoot for any extended time in the wilderness, where Harris-Moore is suspected of spending time, would be uncomfortable at best, dangerous at worst, said Andrew Toyota, a climbing instructor and volunteer with Everett Mountain Rescue. Cold feet could lead to hypothermia. Still, there are some who believe being barefoot may be a benefit. Chris McDougall is the author of “Born to Run,” a book about running barefoot. He's a proponent of the increasingly popular movement among some athletes. Nerves on the soles of the foot are very sensitive. If Harris-Moore is running barefoot through the woods, he's following in the footsteps of American Indians and others with long traditions of being both fleet- and bare-footed. “He's actually an heir to noble traditions,” McDougall said. “Given the weather and the harsh terrain, it is unlikely that people in the Pacific Northwest would go barefoot for any length of time,” said Jennifer Webb, of the University of British Columbia's Museum of Anthropology. At the same time, going barefoot leaves behind the individual's unique footprints. Those would provide more evidence to link Harris-Moore to crimes. NEW YORK (CBS/AP) Colton Harris-Moore, a Washington teen who has frustrated and eluded local detectives after a string of brazen, but sometimes comical burglaries on Orcas Island, has fostered a small community on Facebook that has begun to romanticize the wayward young man. A Seattle man, Adin Stevens, even started selling T-shirts bearing Harris-Moore's picture and the words "Momma Tried." Another site sells "Fly Colt Fly" shirts making reference to Harris-Moore's repeated alleged attempts to steal then fly small planes even though he doesn't have a pilot's license. Each time he has allegedly crash landed. Orcas Island is located three hours north of Seattle. But local law enforcement officials haven't been amused. Island County Sheriff Mark Brown, whose office has dealt with Harris-Moore at least since he was 11, said he recently blew up at a "Today" show producer who wanted to ask him about the made-for-Hollywood aspect of the story. Some have compared Harris-Moore to the Leonardo DiCaprio character in "Catch Me If You Can." Like the film, police say Harris-Moore seems to have pulled off some unusually gutsy crimes including couch surfing in unoccupied vacation homes and more recently stealing small planes from rural airports and then crash-landing them. 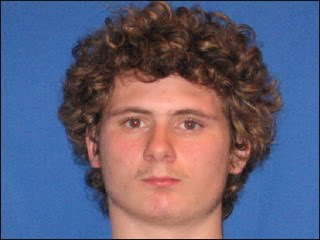 Photo: Nov. 2007 mug shot of Colton Harris-Moore provided by the Island County, Wash. Sheriff’s Office. There were bare footprints inside and outside some airplane hangars that had been broken into. In one, police said, footprints were on the wall, indicating that the suspect put his feet up, apparently while eating. He earned himself the nickname of "the barefoot burglar" by committing some of his crimes without wearing shoes. Each time police believe they have him in their sites, he seems to vanish. "He virtually vaporized in front of me," Deputy Jeff Patterson recalled of one encounter in which Harris-Moore was caught in beam of his flashlight one moment and gone the next. Some local residents are frustrated and wonder how hard it is to find a 6-foot-5, 200-pound teenager in the confines of an island. Harris-Moore is suspected in about 50 burglary cases since April 2008, when he slipped out of a halfway house.